Walden Media and director Mark Waters are getting into the magic game. The Phil Anschutz-owned production company has attached Waters to develop an adventure film about a 14-year-old who discovers that he is a descendant of the great illusionist Harry Houdini. Jessica Tuchinsky, Waters' producing partner at Watermark Pictures, will produce along with her husband, Jason Hoffs (The Terminal ). An original idea developed at Walden Media, the project centers on a young boy, who upon hearing the news of his lineage, embarks on a journey to unravel the secrets of Houdini's past, uncovering a legacy the famed magician was trying to protect. "Houdini has exerted a fascination on people for the last hundred years," said Hoffs, who will be producing with his wife for the first time. "The movie takes place in the present, but our lead character and the audience will learn some of the secrets of what Houdini was really up to." The production is looking for a screenwriter. Waters (Freaky Friday , Mean Girls ) is shooting The Spiderwick Chronicles for Paramount Pictures and Warner Bros. Pictures in Montreal. He is attached to direct two projects for Walt Disney Pictures, Bob the Musical and the recently announced Me2 from screenwriter Larry Doyle (HR 10/19). Tuchinsky and Waters' Watermark Pictures is based at Paramount. Hoffs has a first-look producing deal at DreamWorks. Waters is represented by CAA. Executive vp production Alex Schwartz and creative executive Bonnie Solomon will oversee the project for Walden Media. Senior vp business and legal affairs Frank Smith negotiated the deal for Walden. 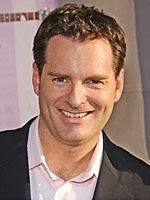 The company's next film, Paramount and Nickelodeon Movies' Charlotte's Web, will bow Dec. 20. 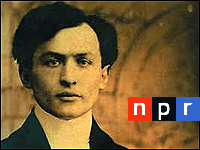 NPR (National Public Radio) has a terrific audio interview with William Kalush, co-author of the new book, The Secret Life of Houdini: The Making of America’s First Superhero . Kalush talks about Harry’s possible spying career, how he believed Houdini escaped from the Siberian Transport Cell, and his discovery of unknown information about Margery the Medium and her possible involvement in Houdini’s death. For whatever reason, Paramount Home Entertainment has yet to release a DVD of the 1953 Tony Curtis classic HOUDINI in any country that speaks English. For years fans have had to track down an asian import edition on eBay. Now we have a “Paramount Collection” edition coming out...in Germany and Italy. Come on Paramount, where’s the U.S. version? Oh well, gaze above at the German cover art and dream of what could be. I love specialized Houdini studies, and this new book, Houdini’s Tour of Australia by Leann Richards, certainly fits that bill. This well-researched 60 page paperback chronicles Houdini’s highly eventful tour of Australia in 1910. 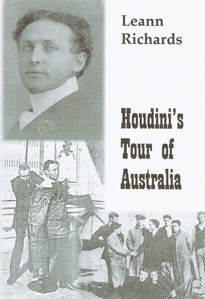 It was during this tour that Houdini became the first man ever to fly a plane in Australia; a feat which he believed he would be remembered long after his magic career had been forgotten. With all the excitement and press surrounding the release of The Secret Life of Houdini, some may have overlooked the release this Halloween of another Houdini related book, The Houdini Principle by Tim Kenning. 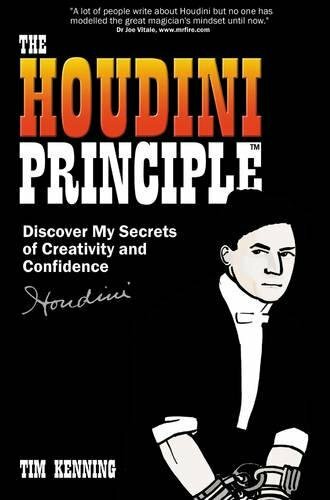 The Houdini Principle looks at the exploits and escapes of Harry Houdini as a catalyst for modern day creative thinking and problem solving. A similar book, The Houdini Solution , was released earlier this year, but The Houdini Principle is, to my eye, the superior book. 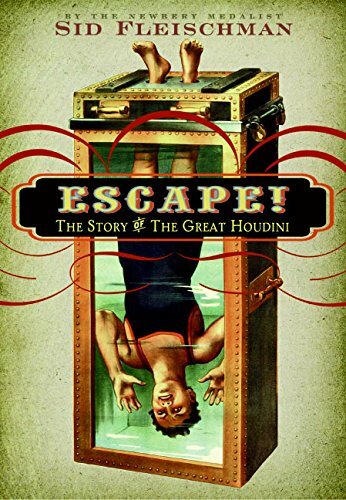 It’s certainly the book that will interest Houdini fans more as it deals specially with events (escape and otherwise) in Houdini’s life, and is illustrated with some nice pics. It also offers an appendix of Houdini resources; books, documentaries, museums and websites (including my own Houdini Lives!). The Houdini Principle can be purchased from Amazon.com (U.S.) and Amazon.co.uk (UK). For more information on The Houdini Principle website. The Secret Life of Houdini in stores today! 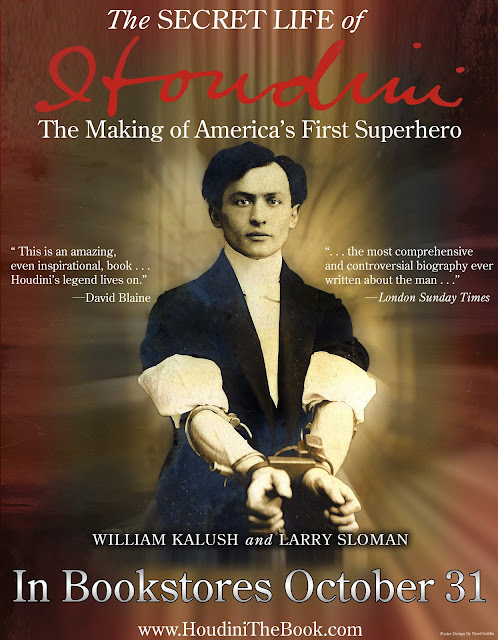 The eagerly anticipated The Secret Life of Houdini: The Making of America’s First Superhero by William Kalush and Larry Sloman is released today. This new biography puts forth a controversial theory that during his career Houdini worked as a spy for both the U.S. and British governments. The book also suggests that the great magician was murdered by spiritualists angered at his campaign against spiritualist fakes. As we count down the days to the release of The Secret Life of Houdini, The Making of America’s First Superhero, author Bill Kalush gives us a first look at a slick new promotional poster for the book. The highly anticipated book also now has an official website, houdinithebook.com, where you can pre-order a signed copy. Sales benefit the Conjuring Arts Research Center. 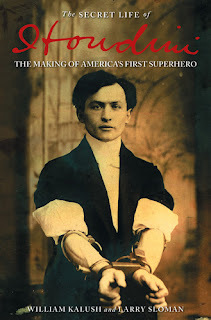 The Secret Life of Houdini: The Making of America’s First Superhero is due for release on October 31 (of course!). The new Houdini movie, Death Defying Acts, starring Catherine Zeta Jones and Guy Pearce, is shooting in Edinburgh this week. 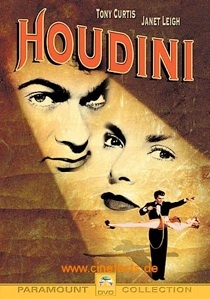 The film is a “supernatural romantic thriller” which tells the fictional story of Houdini’s relationship with a Scottish psychic, Mary McGregor, played by Zeta Jones. 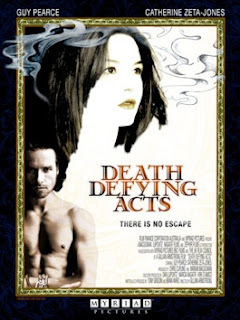 Death Defying Acts was due to film in Edinburgh during summer, but was moved to London at the eleventh hour because Edinburgh was too busy with Festival crowds. However, the film crew are now filming a number of exterior shots around Edinburgh. Floodlights at the landmark Edinburgh Castle were switched off last night so film crews could recreate the city in 1926. Other sights used to set the scene will be the capital from Salisbury Crags digitally re-mastered to remove modern landmarks such as the Scottish Parliament. In the movie, Zeta Jones lives in the slums of Edinburgh with her young daughter and stars in a burlesque act which, though partly a confidence trick, delves into the occult. She comes to hear of Houdini's $10,000 reward for any psychic who can contact his beloved mother from beyond the grave, and makes contact with him. However as the pair spend more time together they begin to fall in love. The film will be released in 2007. It's been over 50 years since Hollywood produced a feature film about Harry Houdini, the greatest escape artist and daredevil who ever lived. On the surface, this seems remarkable. 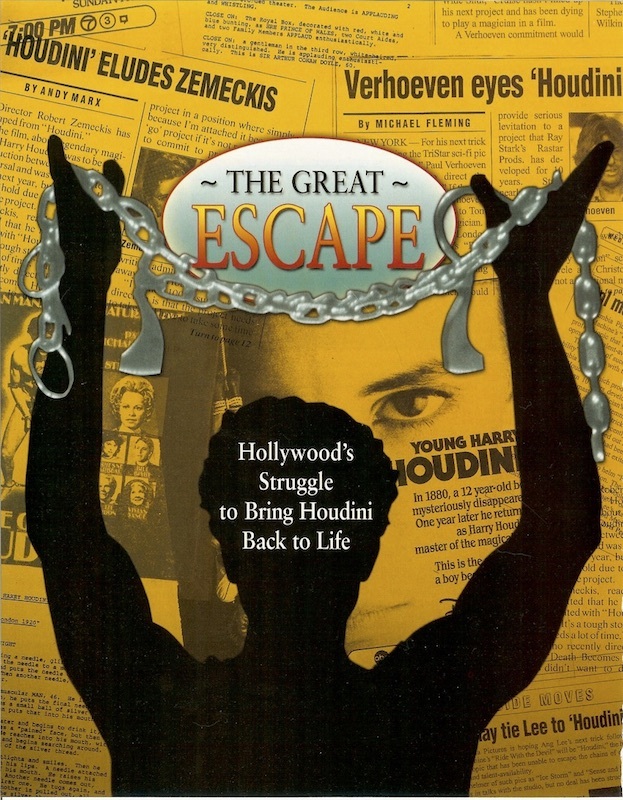 Houdini's life story is rife with theatrical drama: from his death-defying escapes, to his battle with spirit mediums, to his deathbed promise to return from the grave. 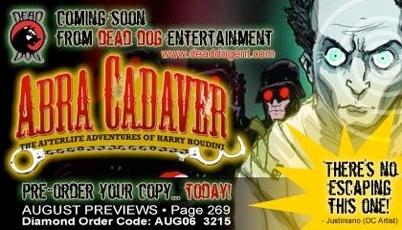 So where is the big-budget Harry Houdini feature film? Visit www.magicmagazine.com to subscribe or buy this individual issue. Okay, this is a trash story, I know, and as with most stories that come from UK tabloids, there’s probably only a fraction of truth to it. But at least it confirms Death Defying Acts is finally in production! Los Angeles, CA (BANG) - Catherine Zeta-Jones was said to have been in extreme agony after having a toenail ripped off on her new movie set. The Welsh actress was filming a scene for "Death Defying Acts," a biopic about legendary escapologist Harry Houdini, at London's Savoy hotel, when a strong, heavy-built member of the crew accidentally stepped on her foot. A source told Britain's The Sun newspaper, "It virtually took the toenail clean off. The nurse was called in. She was in pain but didn't have a tantrum." Executive producer Dan Lupovitz played down the incident, saying the brunette beauty-who stars alongside Guy Pearce in the movie-quickly recovered from the toe mishap. 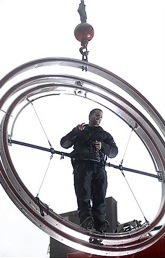 "It was as minor incident which hardly disrupted filming. She's fine," he said. Despite still being featured on many tourist websites, the Houdini Museum adjacent to Houdini’s Magic Shop in The Venetian Hotel & Casino in Las Vegas is no more. 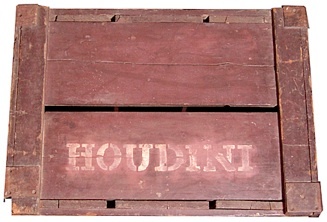 The contents of the Museum were auctioned off at The Great Houdini Auction held in 2004. 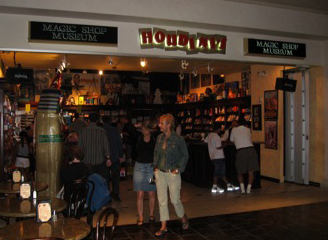 Houdini’s Magic Shop (below) remains in business. The New York Sun has published an article in which several big names in the Houdini world have commented on the claim from the new book, The Secret Life of Houdini: The Making of America’s First Superhero by William Kalush and Larry Sloman, that Houdini was a spy. "Some of it may be true," an author and collector of Houdini material, Arthur Moses, said, "but it's hard to believe it's all true." He did say what he has read of the book is meticulously researched and well written. "I'll believe anything that there's evidence for," a Houdini biographer who is reserving judgment until he has read the book, Kenneth Silverman, said. But he bristled at the suggestion that Houdini's quick rise to fame was partly assisted by police. The new book apparently claims that there was a quid pro quo whereby detectives in Chicago would promote Houdini if he taught them lock escapes and other skills. To the contrary, Mr. Silverman maintained, "He owed his huge reputation to the work he did on stage." The publisher of Genii magazine, Richard Kaufman, said Mr. Kalush had viewed documents that appear to support the claim that Houdini, if not actually a spy, helped the embryonic British intelligence service gather information. However, a historian at the Washington-based International Spy Museum, Thomas Boghardt, who has not yet read the book, said British espionage did not start in earnest until 1909. He also said William Melville, the head of Scotland Yard, was principally involved in counterespionage in England rather than spying abroad. 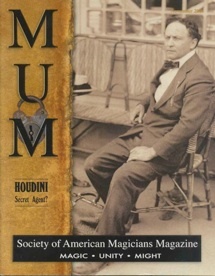 To call Houdini a secret agent "in the James Bond sense" might be taking it a little far, a historian of magic, Richard Kohn, said. "He may well have been an observer who passed along observations." But he also said Houdini was very impressed with himself. The magician and paranormal debunker James Randi cautioned, "If Houdini had been a spy, that would have gotten out. He never would have been able to sit on it." Mr. Randi said the story of Jasper Maskelyne (1902-1973) — a magician whose skills at deception helped the British defeat the Germans in North Africa during World War II — got out quickly. Daniel Stashower thinks Houdini makes a good private eye – but in fiction. He has written three mystery novels featuring Houdini as a detective. "The same skills that make him a good magician and escape artist," he said, "also made him an interesting person to cast as a detective because he was naturally good at solving problems and figuring out puzzles." This book is certainly going to be controversial when it hits bookstores on Halloween. 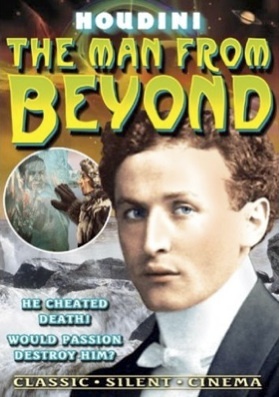 The Man From Beyond DVD is now shipping from Amazon.com and other online retailers. Released in 1922, The Man From Beyond was Houdini’s fourth film, and the first made under his own Houdini Picture Corporation banner. Directed by Burton King, the silent film features Houdini as a man resurrected after being frozen in ice for 100 years. Alpha Video also recently released the Bessie Houdini movie, Mystic Circle Murder. This one-of-a-kind collectible is a treasure from my magician father's collection of magic memorabilia. (Herman L. Weber, 1900-1953, a.k.a. "Namreh, and "Weber The Wizard.") My Dad had a large room all decorated with magician’s window cards and posters and full of magic memorabilia. 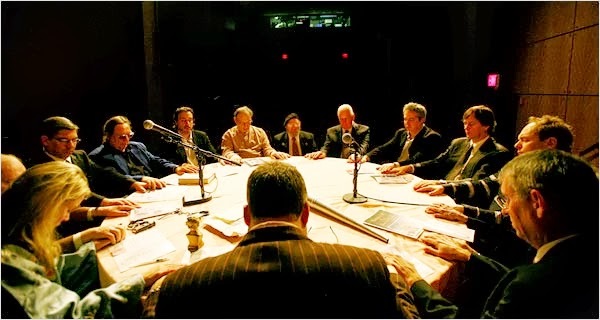 It was a gathering place for all of the magicians and magic buffs who played or visited Allentown or Philadelphia and stayed at our house through the years. My brother and I are now getting a little long in the tooth and we are letting go of most of our Dad's collection of magic memorabilia. 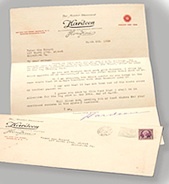 While providing the provenance for the Houdini items, the Hardeen letter and envelope are themselves collectibles. To preserve the Hardeen letter and envelope, I have sandwiched both between two thick sheets of plexiglas. The letter and envelope can very easily be removed and beautifully matted and framed. 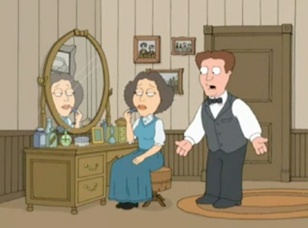 My brother and I were not even born when Houdini died; therefore, I am somewhat vague regarding how Houdini used this setup in his show. Our father never explained it to us. 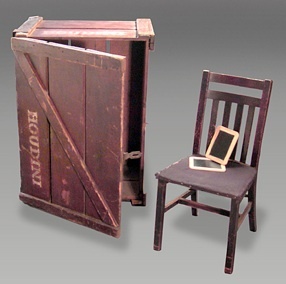 The fact that the spirit chair traveled in its very own crate indicates that the chair was a significant part of the program. Because Houdini debunked spiritualists and mediums, I assume that he used this part of his show to expose "spirit messages." Perhaps someone who is truly familiar with Houdini's performance will be kind enough to email me and allow the explanation to be credited and inserted here. 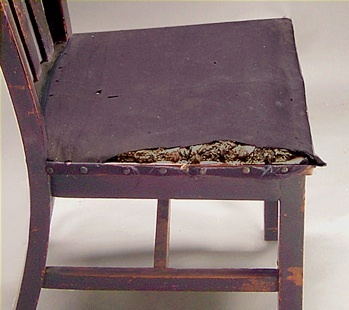 Magician friends and antiques dealers have advised me not to alter the condition of the Houdini spirit chair and crate. How the chair got into its present condition in the crate in over 80 years is a puzzle to me. Perhaps as a result of moths or rodents. 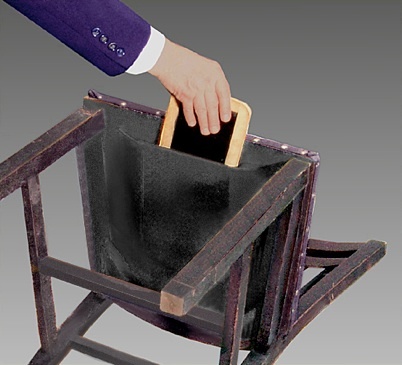 Nonetheless, considering that it is a Houdini original, the spirit chair is still a "beauty!" It is up to buyer whether to restore the chair, which I am told would not be difficult. The shipping crate obviously traveled--and its condition is part of the crate's charm. Bidding starts at $24,500.00. The 10 day auction ends on August 28 and can be viewed HERE. From author Bill Kalush comes the final cover art for what promises to be the most intriguing Houdini book of the year, The Secret Life of Houdini: The Making of America’s First Superhero . In The Secret Life of Houdini, Bill Kalush and Larry Sloman present their theory that Harry Houdini worked as a spy for both the U.S. and British governments. Bill gave a lecture on his theory at the Magic Collectors convention in Virginia this year. Those who attended said while the idea sounded far-out at first, the author apparently has some pretty strong evidence to support his case. 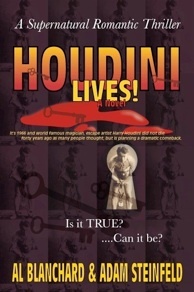 The Secret Life of Houdini will be approximately 600 pages with over 140 illustrations. The book will also be released as a Simon & Schuster audiobook . I have to confess, this is the most excited I’ve been about a Houdini book since the Silverman biography came out in 1996. The Secret Life of Houdini: The Making of America’s First Superhero is due for release on October 31 (when else?) and can be pre-ordered now. 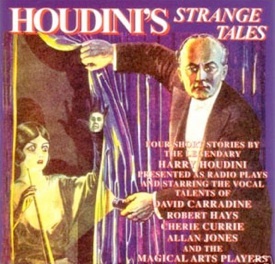 Bond collector and expert Patrick Culliton is offering up a CD version of his rare 1992 book, Houdini’s Strange Tales. This CD contains four radio shows adapted by Patrick from short stories written by Houdini. It stars the voices of Robert Hays (Airplane, Starman), David Carradine (Kung Fu, Kill Bill), Cherie Currie (the Runaways, Foxes), Michael Cavanaugh (Dark Shadows), Nicholas Kepros (Amadeus), and Allan Jones (the Donkey Serenade). Also featured are John Barrymore III, and T. A. Waters (Mind, Myth, and Mentalism) and the Magical Arts Players with music by Patrick Gogerty and Prof. David E. Bourne's Dawn of the Century Ragtime Orchestra. It is a limited edition. Patrick is currently only selling the CD on eBay. Sid Fleischman’s ESCAPE! The Story of the Great Houdini is released today. Aimed at readers 9-12, the biography can be purchased now on Amazon.com. Who was this man who could walk through brick walls and, with a snap of his fingers, vanish elephants? In these pages you will meet the astonishing Houdini-magician, ghost chaser, daredevil, pioneer aviator, and king of escape artists. No jail cell or straitjacket could hold him! He shucked off handcuffs as easily as gloves. The cheapest crystal ball could have predicted that Sid Fleischman, the Newbery Award-winning author of The Whipping Boy, would someday write a biography of the hero of his youth-the immortal magician Harry Houdini. 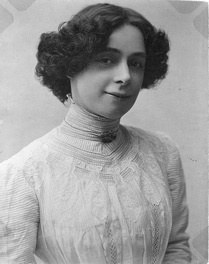 ￼As a teenage prestidigitator, Fleischman came to know the widowed Bess Houdini, who had retired to Southern California. In his autobiography, The Abracadabra Kid: A Writer's Life, he describes her as "a kind of den mother to us young West Coast magicians." She gave him photographs that now appear in these pages. Among Sid Fleischman's celebrated comic novels, published in nineteen countries, are The Giant Rat of Sumatra, Bandit's Moon, Disappearing Act, Bo & Mzzz Mad, and The 13th Floor: A Ghost Story. The father of three children (one of whom is Newbery Medalist Paul Fleischman), he lives in Santa Monica, California. Purchase ESCAPE! 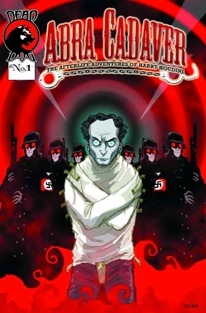 The Story of the Great Houdini on Amazon.com. 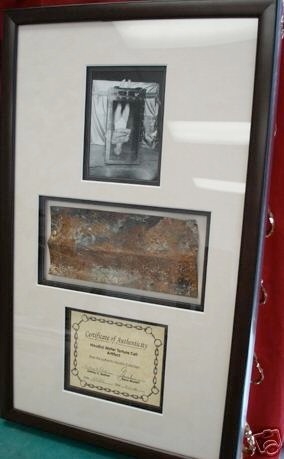 Remnants of the original Houdini Water Torture Cell are being offered for sale on eBay. The remains come framed with a picture of the cell and with a Certificate of Authenticity by former cell owner, Sidney Radner. 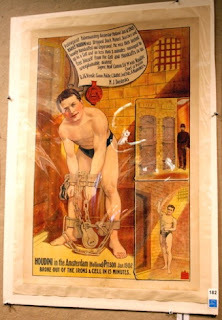 The original Houdini Water Torture Cell was destroyed in a fire in 1995. 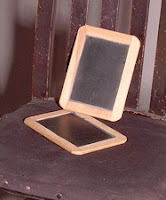 It was resorted in 2000 and sold at auction to magician David Copperfield in 2004. One wonders if Mr. Copperfield was ever made aware of these "remnants from the restoration"?